First you must decide…to peel or not to peel?! I always used to be a peeler, but I’ve found I actually prefer not to peel my sweet potatoes anymore. 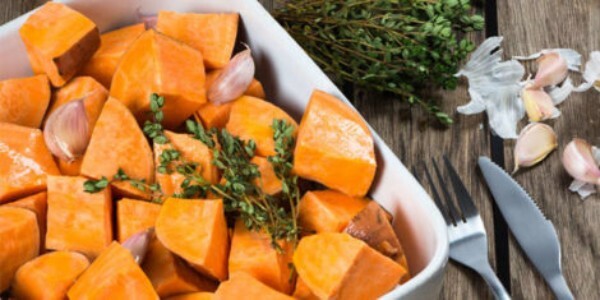 In addition to adding a little extra ‘crisp’ when you’re roasting or making fries, the skin also provides additional nutrients and fiber! I love to make up a batch when I’m meal prepping for the the week. 2 large sweet potatoes will provide about 4 servings. And I can use them up in a variety of ways. Here is how I reheated them today. 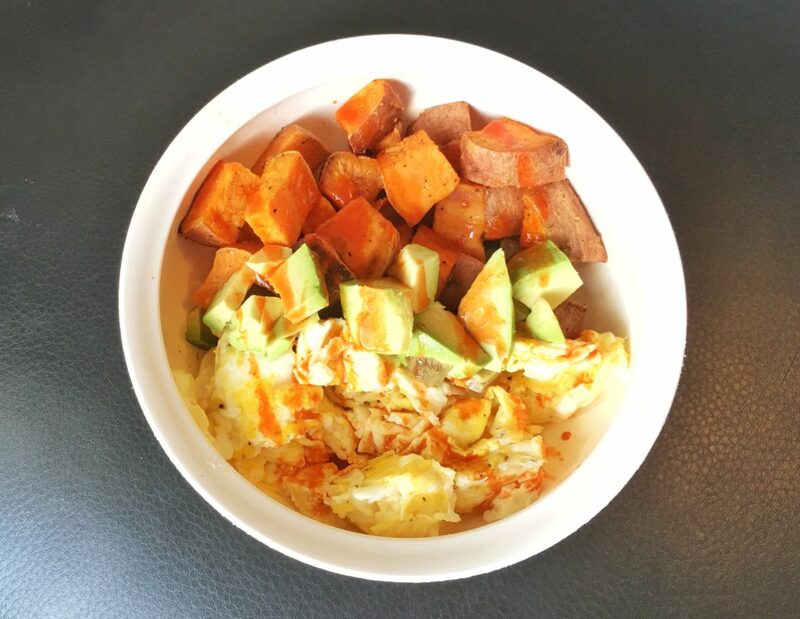 I added them to my breakfast bowl with scrambled eggs, avocado and a little hot sauce. YUM! You could have a burrito bowl for lunch with shredded chicken, black beans, veggies, salsa, etc…the possibilities are endless! Wash and scrub potatoes thoroughly. Dry well. Cut sweet potatoes in half length-wise, and then cut each half into 4 long strips. Chop each of the strips into small cubes. In bowl, toss the cubes with oil and seasonings. Line a cookie sheet with parchment paper – I think it helps with crispiness. Bake at 425 degrees for 25-30 minutes or until desired crisp, flipping once halfway through to make sure that all sides get crispy.